When is the right time for marketing? When you should start marketing. How many people have a wrong perception of what marketing does and what marketing can do for them. 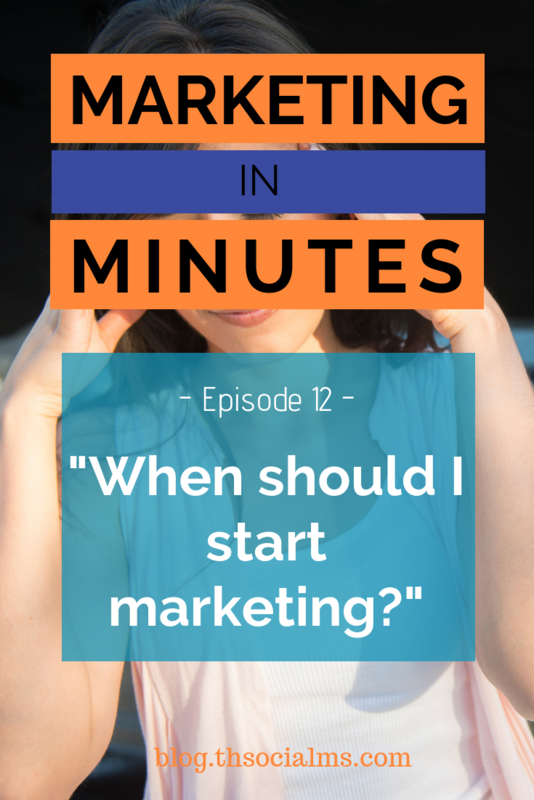 Episode 12: When’s the right time for marketing? Here’s a question I get asked a lot as a marketer: What’s the right time to start marketing? My answer is always the same. Today I’m going to give it to you. My name is Jonathan Gebauer and you’re listening to Marketing in Minutes. Welcome back! This is Marketing in Minutes by The Social Ms – the podcast that gives you everything you really need to know about one marketing topic in every episode. A lot of executives and entrepreneurs have a really strange perception of what marketing does. They expect us to have magical capabilities to make their business blow up. Or in other words: They expect us to provide them with turnkey solutions. At a specific point in time. Without preparation. And they are really surprised when I explain that it doesn’t work this way. As a marketing consultant for startups and entrepreneurs, “When should I start marketing?” is a question you hear over and over again. It’s annoying because the answer should be obvious. You should start today. Actually, you probably should’ve started weeks or even months ago. And you are missing out on actual business because you didn’t. But that doesn’t matter anymore unless you’ve got access to a time machine. So the answer is: today. You should start today. But you are asking the wrong question. The real question is: How do you expect to become known? A lot of business coaches always highlight the importance of business networking and building your own network. And nobody ever asks when is the right time to start networking. Building a network takes time and work. You have to talk to people, you need to go to events, you need to hand out business cards. And when you do it, you become known. With Marketing it’s the same thing – just on a higher level. Just like in business networking the ultimate goal is to become known. Known by a lot of people. If you tell someone that he needs to get in contact with at least 1000 people for his business to succeed, you wouldn’t expect that person to ask when the right time to start is, or would you? You would just expect that person to start working on it. Well, with marketing you want to reach more than 1000 people – at least in most cases. So you better get going… When you are asking “When should I start?” you are asking the wrong question. But if that’s the wrong question, then what’s the right one? How do I make as many people as I can see my business? How do I make people see that I have the solution to their problem? How do I make people see that I have a product they need? And so on… The answer to all of these questions is marketing. Whatever you want to achieve with your business, some form of marketing is always involved. But maybe the problem isn’t that people are not asking the right questions… maybe it is that they have the wrong perception about what marketing does. A couple of days ago I was at a party and I met a friend that I hadn’t seen in years – and while we were talking and catching up, the marketing topic came up. Marketing has a brand problem. And it’s true. Everybody seems to have specific ideas about what marketers do. Some people think marketers only do online advertising. Others hear marketing and think about expensive TV advertising campaigns. Again others think about PR campaigns. Or SEO, Or Social Media Marketing. And the list goes on. Don’t get me wrong. All of these concepts are part of marketing and what marketers in general do. But that is not what marketing is about. These are just tools. Marketing is about letting people know that your business exists. Marketing is about letting others know that you exist. Everything else is just a tool to achieve this goal. Letting people know about your product or your business takes time. And there is no magic button that you can press to start marketing. Like any other business activity, it needs to time to achieve your marketing goals. Just like in networking, it needs time to find out how you best present your business. That is especially true for low-cost online marketing – as this requires a huge investment of time, work, and the will to do things on your own and to learn how marketing can work out for you. The benefit for you is that your business will become known. But if you spend your time wondering when the right time to start marketing is, that won’t happen. That’s all I want to talk about today. This was the 12th episode of marketing in minutes – which also means that this podcast has now been running for exactly 4 weeks. I hope you learned something. Please give me feedback, as feedback really helps me to improve. If you like this podcast, please subscribe – and if you can, please leave a review in your podcast app. It really helps to let more people find out about the show! For more information about when to start marketing and how to take the first online marketing steps, please visit the shownotes at blog.thesocialms.com/MiM-12. 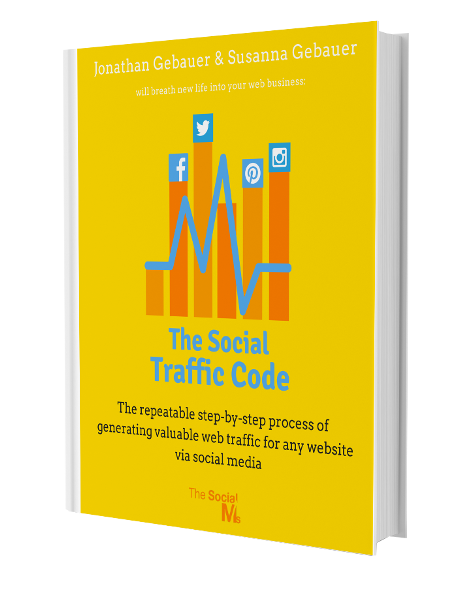 And if you want in-depth content and social media marketing advice, check out our book, The Social Traffic Code! And please return for the next episode of Marketing in Minutes! That’s it for today – take care, bye!